Various forms of brainwave entrainment and synchronization have been used in many different cultures for hundreds of years. Long before scientists were able to measure our brainwave patterns. Lots of historical references show that our ancestors used drums and or chanting, to induce and experience different states of mind. Some cultures still use the same methods today. This synchronization phenomenon is not just confined to our brainwaves; it's universal and appears in chemistry, biology, neurology, pharmacology, medicine, astronomy and more. If you put a number of pendulum clocks on the wall and started them at different times, you will find that within a day or sooner, all of the pendulums will start to synchronize with each other in perfect unison. Studies have shown that when a group of women live and sleep very closely together, after a while their menstrual cycles will start to adjust and happen at the same time. If you ever listen to an audience clapping, you will notice that if it goes on for a while, people will start to clap in tune with each other, without consciously thinking about it. Here's a video example of metronomes completely synchronizing together in under 2 minutes. The ‘Alpha' range is between 8hz – 12hz, and in this state, we are awake but relaxed, and not processing much information. During light sleep or deep relaxation, we are usually in between the 4hz to 8hz range. Also known as ‘Theta'. When we are in a deep sleep, our brainwave frequency is usually very low, between 0hz to 4hz which is also referred to as ‘Delta'. With this knowledge and more in-depth research, we are now able to develop audio brainwave entrainment programs, to match the frequency range of our desired mental state, and produce brainwave synchronization. 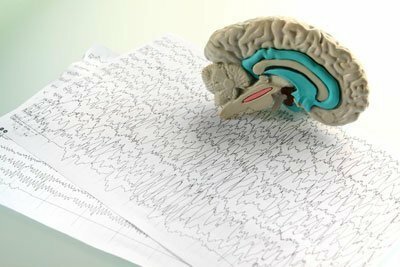 For the brain to be effectively entrained, every tone or beat has to produce an individual electrical imprint on the brain, called a ‘Cortical Evoked Response'. The stronger the beat, the stronger the entrainment effect. The most well-known form of brainwave entrainment uses Binaural Beats. This can be a drawback with Binaural Beats because it's not always practical or desired to listen to entrainment with headphones on. lsochronic tones are created in a completely different way to Binaural Beats. Instead of two different tones being combined together, just a single tone is used. As you can see from the diagram below, Isochronic Tones are significantly more obvious and stronger. The resulting entrainment effect is much more powerful than Binaural Beats. Which Parts of Your Life Would You Like to Improve? after listening “Creative Focus – Stimulate Creativity, New Ideas – Isochronic Tones” I fell relax. I want to know more about this theory. Hi Sopan, if you Google ‘isochronic tones’, you’ll find lots of sources of information in addition to what I have on my own website. I’d also recommend the following resource: http://www.transparentcorp.com/research/. Hi jason i’ve been listening to your mental workout mix and was curious are there any other tracks you would recommend to increase IQ and memory beyond…or are there any tracks you would recommend for advanced listeners? do the effects decline and are they permanent, what are you doing to keeping yourself innovative im sure you must have reached a new level having listened to isochronic tones for quite sometime…I have been listening to your tracks for the last 4 months I have noticed benefits. Just wanted to know what else you suggest for someone extremely driven and self motivated 🙂 thank you Jason!! Hi Dave, the effects of isochronic tones and brainwave entrainment isn’t permanent, so any gains you make in performance do start to decline over time if you stop using it. But that’s not a bad thing, because on the flip side it would be bad if you experienced a negative result from using it and the effect ended up as permanent. I like to compare exercising your brain to exercising your body. You can spend a month going down the gym to lose weight and get fit, but if you stop exercising and don’t eat well, you will start to gain weight and become less fit. Your brain works in a similar way. You need to give it plenty of mental exercise to maintain it at an optimum level. A good example of this is when ‘some people’ quickly deteriorate when they retire, because they suddenly stopped exercising their brain to a high level on a daily basis. IQ is a hard thing to increase significantly once you reach a certain level, as the biggest gains are seen in those with a lower IQ. In making isochronic tones tracks for a wider audience, it’s hard to make something that fits everyone perfectly, because we are all wired a little differently. While one frequency range is perfect for helping someone to really focus well, another person may respond even better to a range 3Hz higher, or even below. So although there are certain frequency ranges that are deemed as widely suitable for specific things, to progress further, it’s often about tweaking things and finding frequencies and ranges which suit you personally and then adjusting them as you progress. If you are looking to take things to the next level, you might want to consider making your own tracks using Neuro Programmer 3 (go for the ‘Ultimate Edition’ so that you can edit the frequencies of the default sessions). They do a 2 week trial of the software, so you can have a play around with it for free without any obligation. I use the more advanced Mind Workstation Enterprise, but Neuro Programmer is much easier to learn how to use and a great place to start. How you use these tracks largely depends on what your goals are, and what you want to achieve from using them. A single track will help you in a specific way. If you listen to a meditation track it will help you to relax your mind and meditate better while listening to it. If you later want to boost your energy levels, you will need to use a different more appropriate track for increasing energy, which uses higher frequencies. If your goal is to concentrate on one area like meditation, you could start by just using a single meditation track whenever you meditate. You could then add to your collection by getting a different background sound version for the same meditation product. The brainwave entrainment tones will work the same if you’ve chosen another track from the same product. Just the music will be different to give you some variety. Using different background sound versions of the same product, also helps prevent your brain from getting bored or too used to the same sound all the time. In the meditation category there are different products, which target different frequencies. Generally speaking, the lower the frequency, the deeper the meditation experience. If you are new to meditation, you might start with one of the higher frequency alpha tracks. Then over time, graduate further down by trying the lower frequency tracks. If you are trying to increase your focus and ability to concentrate while studying for example, you could start by using a single track from the ‘Study Focus’ product suite. You might decide that you need more intense focus, so you might listen to a ‘Peak Focus for Complex Tasks’ track. So it’s about using the appropriate track at the time you want to feel that particular way. I have versions of all of my products on YouTube, so you can experiment with them for free first, to see what frequency sessions work best for you, before getting the MP3s. Dear Mr. Lewis, I would like to inquire to where I could find your credentials and scientific sources? I find your content interesting and I want to believe what you are saying, however, without empirical evidence, it takes me a too big of a leap of faith, to trust your findings, let alone purchase any of your tracks. Thank you! Have a nice day! Yours sincerely. Hi Martijn, my work and products are based on past scientific research and studies into brainwave entrainment. If you are new to the concept of brainwave entrainment you can find information on some of the research collated here: http://www.transparentcorp.com/research/. On a personal level, I first encountered brainwave entrainment with Binaural Beats many years ago, but I was quite sceptical at first and put it aside. I then came across Isochronic Tones from a different source a while later, and they gave me some new and unusual sensations in my brain that I hadn’t felt before. This piqued my interest and I quickly became fascinated in the technology. That was around 9 years ago now and I’ve been using, studying and creating brainwave entrainment sessions for myself and others ever since. Hey Jason , I have heard that Isochronic Tones are used to balance the brain waves in left and the right brain .. & it helps to improve the cognitive abilities in children, and after hearing this music children between 5 – 15 can view/feel things blindfolded or we can also say that it opens 3rd Eye Chakra [Pineal body] .. Is it True ? My second question is, could you please tell me the difference between Binaural beats and Isochronic Tones ? Hi Avi, isochronic tones can certainly be used to help balance the brainwaves across both brain hemispheres. However, it’s not a case of all isochronic tones tracks will improve cognitive abilities, because it depends on what frequency range you listen to. My products that will help with cognition are in this section here: https://www.mindamend.com/intelligence-and-brain-power/. With regard to opening the third eye and being able to view things blindfolded, I haven’t seen any evidence of that. It’s possible that someone reported experiencing that during a one-off meditation where isochronic tones were used, but I can’t honestly say that it could be repeated for most people, just by listening to isochronic tones. Not based on the current evidence. I explain the differences between isochronic tones and binaural beats in the article above. To summarise the benefits, isochronic tones produce a much deeper waveform which creates a more distinct beat. This results in stronger stimulation of the brainwaves. ‘Standard’ isochronic tones tracks also don’t require headphones, but you always need them with binaural beats. I have been using a variety of your products,(Study and Learning, Intelligence and brain power, sleeping and dreaming,) with very positive results. I have recently purchased some of the affirmations tracks. I have two questions. 1. Will listening to a track completely change the results. As I am often listening to Cognition enhancement up until the last minute before taking an exam? 2. Is it possible to over do it when listening to these tracks, if so, is it all tracks? Hi Tim, I’m pleased to hear you are seeing some positive results from my products. I’m afraid I’m not exactly clear on your first question. Are you asking if listening to Cognition Enhancer will completely change your exam results, compared to how you might do without it? If you are listening to Cognition Enhancer just before an exam, it will help get your brain into a relaxed and focused mental state, with your left brain being a bit more dominant. This can be very helpful in an exam situation. However, your brain could still enter a similar peak state on it’s own and you may still perform just as well without listening to the track. But as you know, sometimes we don’t always perform to our best abilities. The pressure of the exam can get to us, our minds go blank and the answers don’t seem to come, or we just have an off day and don’t seem to have the energy for it. What these tracks do is help to ensure your brain is in that peak mental state, when you need it to be. You can over do it with most things and that includes brainwave entrainment. If you over do it you may start to feel a little groggy, possibly get a headache. In a similar way to how you might feel after pulling an all night study period. So it’s a good idea to monitor yourself and cut back or take a break from it if you start to feel any negative effects. To Clarify My first question, what I meant to ask is, If I am unable to finish listening to a track completely, will it have a negative effect on performance. I am often somewhere in the middle of a track when I have to turn off my MP3 and pay attention to my professors. I guess I am wondering if I should try to time my listening to a track that will end just as class begins? It depends on the track to some extent, because I have tracks like ‘Get in the Zone’ where it’s a slow build up to the main action in the last third of it. So for something like that you’d be missing the best part so to speak. Cognition Enhancer moves through a repetitive frequency range cycle, going up and down through it in a wave like form. So because you’re not trying to reach a specific point or frequency, you could stop it half way through and that would be ok.
With Mental Workout which you also have, that builds up to 20Hz by 6 minutes, holds you there for most of the track, then brings you back down to 15Hz at the end. If you stopped while up at 20Hz that’s not really a bad thing, as you will gradually work your way down naturally anyway. I’d say it’s more important to listen to the relaxation and meditation tracks all the way through, as they bring you back up to a more alert state at the end. With the affirmations tracks, they bring you back up from the relaxed Theta state, to a more alert Beta in the last few minutes. So if you stopped one of those in the middle you’d still benefit from the affirmations you’d heard, you’d just take a little longer to get back up to a more alert state again, because you wouldn’t have the tones helping you to get there. I hope I’ve explained things ok? Thanks Jason. That does clear it up. I have another question. Will listening to a different type of track cancel the effects of listening to a previous track, for example listening to a procrastination affirmation track and then immediately listening to study focus or cognition tracks? Yes it will to some extent, because you will be guiding your brainwaves to a completely different frequency range. With the tracks you mentioned, the procrastination track will have you deeply relaxed down in theta, and the other two tracks will move you up through alpha and into an alert and higher beta state. I said to some extent, because in your example the procrastination track is more about the affirmations than the actual tones. The tones are used to get you into a relaxed and suggestible state, to make the affirmations more effective. So if you switched to a beta track after that one to wake you up a bit, that’s not necessarily a bad thing or combination, because you’ve effectively finished listening to all the affirmations and you are ready to move on. I know some people combine lots of my tracks to fit in with various activities during the day. You have to consider how you want to feel at that particular time, when combining different tracks, and choose any follow on tracks to match that. If you’ve listened to a deep theta meditation track and want to prolong the experience and stay chilled out afterwards, it’s not a good time to play a beta track. But if you want to get yourself back up and alert after meditating, then some beta would be a good idea. I hope that explains things ok? Hello Mr Lewis. What I want to know is how the purchase works. Do we download or you’re sending a CD to our address? I notice a Paypal icon. So we can buy via Paypal? Thanks. Hi Teja, every product I sell is provided as an mp3 digital download and you are given access to the downloads straight after your payment is processed. You can pay by PayPal or via credit/debit card, just select your preferred option on the final checkout page. How long should a person wait between doing different tones? There isn’t really any official guidelines on how long you should wait, before using a different tone frequency or track. It’s hard to give you a better answer without knowing how you are thinking about using the tones and what you want to use them for? As an example, if you are doing a study session all afternoon, you could potentially use a different beta/study track one after the other. People tend to use each track as an when they want to enter that particular mental state. So you could use a beta/study track, then when you take a break you could listen to an alpha track to calm and relax you, before returning back to using a beta track again when you resume studying. hi jason,is there a dwell time that is optimal when listening to brain entrainment sessions. There isn’t really an optimum time I could recommend because there are so many factors influencing that. From the feedback I get it varies a lot between different people. One person will say half an hour is more than they need, then someone else will listen for 3 hours straight. It can also depend on your mood. The best thing to do is try to stay self aware and adjust how long you listen depending on how you feel during each session. The main thing to consider is that it takes 5 or 6 minutes minimum for it to start working. So you should always listen for at least that long.